It seems like a million years ago, the Baroness Ida von Blitzenstein gave me a pencil. Not just any pencil. She gave me a Palomino Blackwing 602. 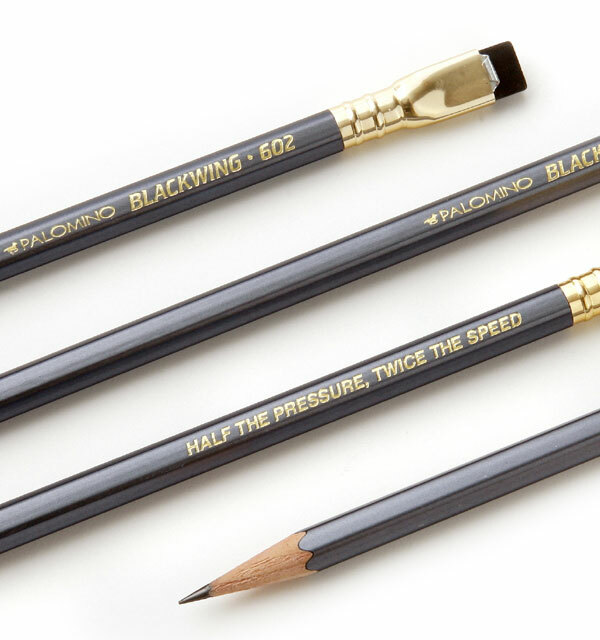 If Ticonderogas are the F16 of pencils, the Blackwings are the Stealth bombers. Needless to say, I finally started using this treasured gift. And oh, sweet baby Batman. I’m in love. So, I took the liberty of adding a wide selection of Palomino products to My Wishlist to make your purchasing of pencils for me as painless as possible. I also added a handful of Ticonderogas as well. To give you options. This weekend flew by in a swirl of cheese and fried food mixed with my crazy relatives and friends and brainstorming/panicking about this upcoming printing gig. My food choices I’ll regret very soon as I attempt to workout. As for the printing gig, it is two and a half weeks away and I have no supplies in hand. I have a rough idea of what I’m going to do. But I have nothing concrete or physically laid out. Which is haunting my dreams now. Maybe I’ll get my supplies in today and I can start messing with them.